The Bioscope is going to try and devote more attention to new DVDs and new print publications in our field. But will we have any more welcome a title to announce than the latest offering from Germany’s Edition Filmmuseum, due out in February? It’s Max Davidson Comedies, a collection of twelve comedy shorts (two of them talkies) on a 2-disc set. 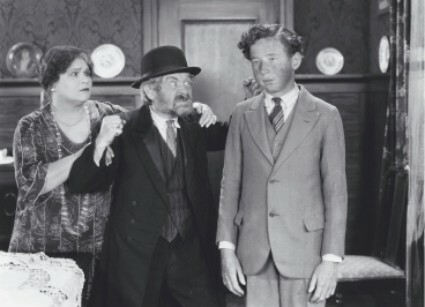 Davidson was a Hollywood supporting actor who enjoyed a brief period as a star attraction when he appeared in a series of comedies made in the late 1920s for Hal Roach Studios. His speciality was Jewish humour, and though some have expressed doubts about the durability of such ethnic humour, the exuberant freshness of Davidson’s comedy, coupled with a knowing sense of the world’s follies which gives him a particularly modern appeal, have made Davidson a great festival favourite. Titles such as the sublime Pass the Gravy (a strong candidate for funniest silent comedy short of them all) and the gloriously named Jewish Prudence are essential viewing and a tonic for our tired times. The films features new scores by Joachim Bärenz, Christian Roderburg and Stephen Horne, a 20-page bilingual Booklet with essays by Richard W. Bann, Steve Massa, Stewart Tryster and Stefan Drössler, and copies of scripts, cutting continuities, stills and lobby cards of all the lost Max Davidson comedies as additional DVD-ROM features. The PAL DVD is region 0, with German or English titles. While we’re here, we ought also to mention an Edition Filmmuseum release from last month, Female Comedy Teams. This shows the efforts made by Hal Roach Studios in the late 20s and early 30s to create female comedy duos, such as Anita Garvin and Marion Byron, Thelma Todd and ZaSu Pitts, and Thelma Todd with Patsy Kelly. The 2-disc set contains films that are mostly new to me, and I’m certainly very keen to see Garvin and Byron’s A Pair of Tights (1929), confidently described on the site as “one of the greatest silent two reel comedies ever done”. There is a 20-page bilingual booklet with essays by Anke Sterneborg, Dave Stevenson and Cole Johnson, and a DVD-ROM section with further essays, documents and stills. Again, it’s a PAL DVD, region 0, with German or English titles. 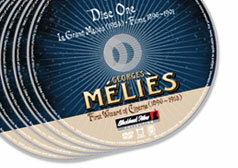 Trailers for both DVDs can be viewed on the Edition Filmmuseum site. For those in the United States, it should be noted that Turner Claassic Movies is celebrating Hal Roach on Tuesday in January and will be showing several of the Thelma Todd shorts on Tuesday, January 18. Is the political correctness issue that he raises actually much of an issue at all? Is there anyone out there who has raised objections in print to a Max Davidson film? I am so looking forward to the Davidson set….when was it initially scheduled, last August, or October ?? Roll on February, and hopefully, no more delays….unless, of course, they find a lost title….